Why KLST for AI Services? 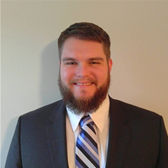 Timothy has close to a decade of experience developing and architecting solutions across SharePoint 2007/2010/2013 and Online for Military, Public and Private sector industries. He has a background in Knowledge Management and Project Management that he brings to the table when architecting solutions. Custom SharePoint 2013 Client-Side Customizations using JSOM, REST and WCF services. KL Software Technologies (“KLST”) was started in 2003 with the vision of building mobile-first digital workplaces that provides easy, intuitive and consistent user experience across smarter interfaces. KLST software+services offerings are focused on “Enterprise Collaboration & Content”, “Hybrid Mobility”, “Cloud” and “Artificial Intelligence & Augmented Reality”. Office No.7, 3rd Floor, New No.3, Old No.2, Wheatcrofts Road, Nungambakkam, Chennai – 600034, Tamil Nadu, India.